When Purchasing a Parrilla Gaucha BBQ, you can rest assured that you will own the best Parrilla BBQ Argentina has to offer. We have made sure we have selected from the very best artisan producers, so protecting your investment and enabling you to enjoy the delights of your Parrilla Gaucha for years to come. 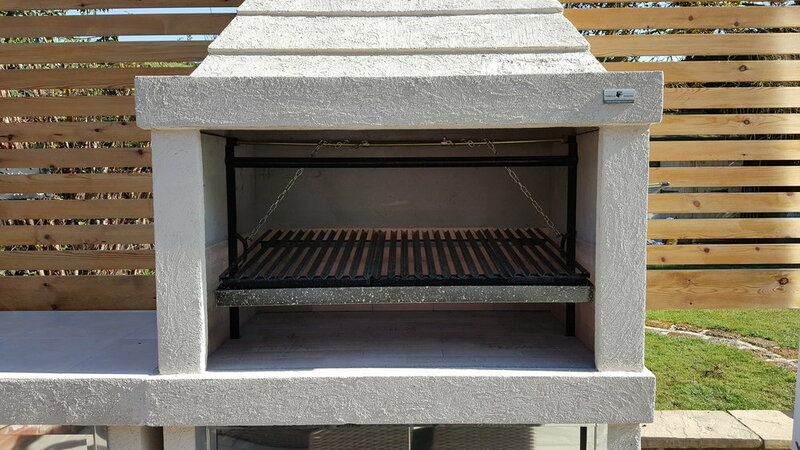 We take full advantage of the many years of experience Argentines have in producing wood-fired Parrilla BBQ's with techniques that have been perfected over decades to produce a product of the highest standard integrating the latest in pre-cast masonry technologies. 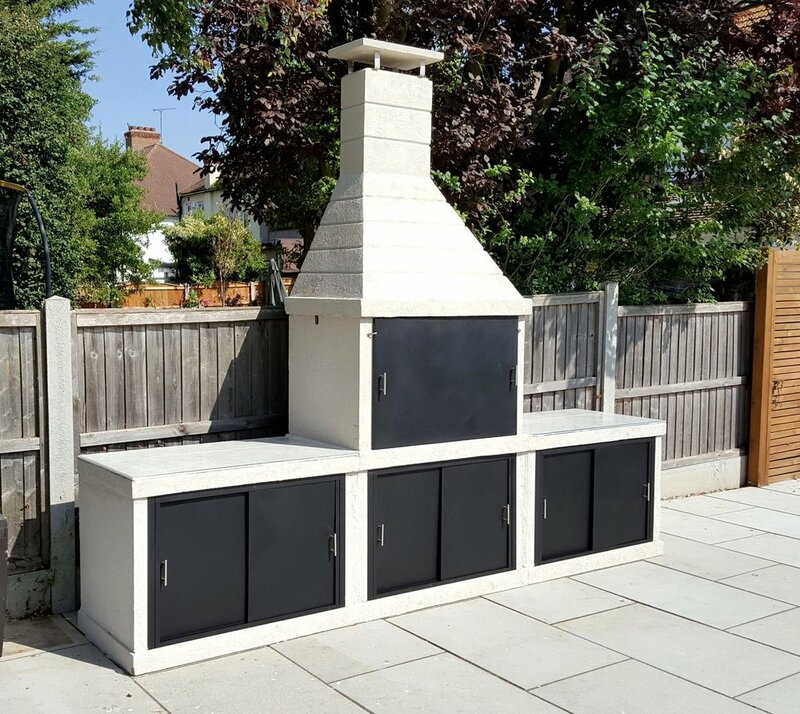 Our BBQ's are specially constructed in reinforced prefabricated sections and thus are extremely durable and can also be safely transported by us direct to your doorstep and then simply put together, either by the client, or if you prefer, we offer an in-house installation service. There is no building works, no fuss, no mess, and within a matter of hours you will have a genuine Argentine Parrilla BBQ that will grace even the grandest of gardens and patio areas. 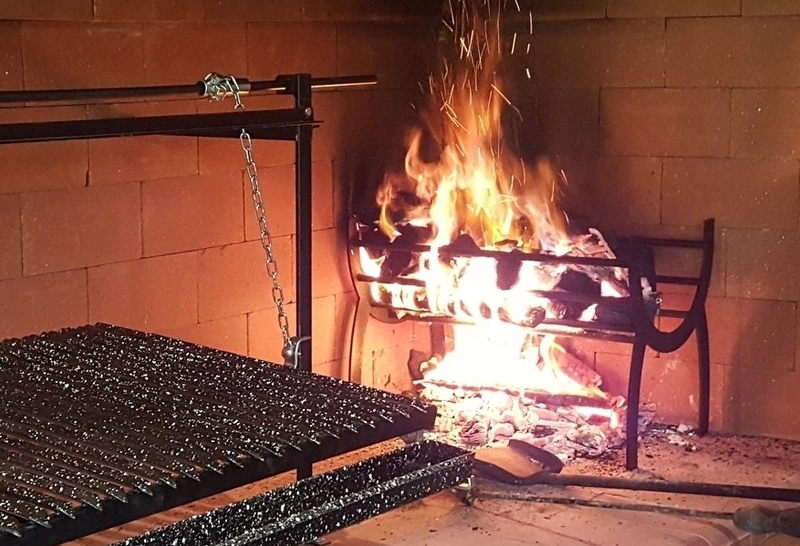 Our Parrilla BBQ will boost your barbequing prowess and can make even a relative beginner to wood/charcoal grilling effortlessly produce restaurant quality "Asado" feasts that will amaze and delight friends and family. The Parrilla Gaucha BBQ has all the "Big Six" Features that are fundamental to a true Parrilla, any BBQ without these features, cannot be classed as an authentic "Parrilla Argentina". This set of features all together can not be found on any other commercially available BBQ in the UK. Our double wall masonry construction has an inner skin made of refractory fire bricks moulded into heat resistant concrete of up to 650 centigrade (1200 F). This type of construction gives optimal cooking temperatures keeping the burning embers in peak condition at all times. The outer wall which utilises new technologies in pre-cast reinforced concrete minimises moisture absorption so effectively eliminating any chance of cracking even in the harshest of fluctuating temperatures. The crank handle & chain height adjuster enables you to quickly and effortlessly regulate the grill height while cooking. By correctly controlling the distance between the food and the coals you are able to easily find the perfect temperature every time. As any top chef will tell you, the ability to produce a constant even cooking temperature is crucial when grilling meat. This height adjustment mechanism is what really sets Argentine Parrillas apart from any conventional BBQ. The Enamel Coated V-groove Grate provides a sturdy cooking surface and more even heat distribution than typical wire-grate barbeques. The grilling surface which sits at a slight angle allows the juices that drip from the meat to run down the channel and collect in the drip pan below. This design eliminates any fire flare-ups that you find familiar with wire-grate Barbeques where fat drips onto the charcoal below producing flames causing burning to the outside of the meat while sometimes still raw inside. The Drip Pan Fat Collector is a complimentary component to the V-groove grilling surface, the drip pan collects meat drippings and prevents them from spilling onto the coals causing fire flare-ups that can burn the meat. It also allows you to baste meat in its juices throughout the grilling process or reserve them for sauces and gravies. The fireside wood basket option is for those who would like the option to grill with wood as well as coals, the wood burner iron basket which can be positioned to one side of the Parrilla will produce your fuel directly from hardwood giving a continuous ready supply of perfect burning embers. Once the desired amount of coals have gathered, simply shovel and distribute the coals to the base of the Parrilla. Moreover, because you can make your fuel if you decide to use wood, experiment with the distinct flavours imparted by different types of wood: from oak to Mesquite, Applewood to Hickory, the choice is yours as you customise your hardwood grilling experience to your liking. Not only do the chrome doors give an elegent and stylish finish to all our BBQ's but they also have pratical uses. The upper cover/door which encloses the grill can also be used while cooking to enhance "smoke" flavours if prefered, and when not in use, protect and store away your grill from the elements. The lower sliding doors form a compartment that is perfect for storing coals, wood and utensils safely away from young children. We have two distinct ranges, "Clasico" and "Moderno" that are made to appeal to both the traditional and more contemporary taste. The brick or large stone designs work perfectly with the traditional lines of the Clasico whereas the textured stucco finish on the more linear Moderno gives a chic, understated contemporary feel. Sizes range from 100cm to 156cm in length. Cooking grills can be configured to your exact requirements with single or double options and with or without internal fireside baskets. Accessories such stainless steel doors and side table extensions give that final touch of elegance and style to your BBQ when you are looking to create something extra special.